There is no provision for SPI NAND flash memory. 3. Refer to point 2. We haven't tested SPI NAND flash memories and I don't know why you need such a memory, but if it is an issue with the limited amount of storage - we have tested to connect the extension module MOD-SDMMMC (https://www.olimex.com/Products/Modules/Interface/MOD-SDMMC/open-source-hardware) to the UEXT connector of RT5350F-OLinuXino-EVB and it works fine. So you can expand the user memory with this extension and an SD card. In future, please refrain from posting the same question over multiple forum threads. If the issue is very urgent and important, please, use the support e-mail. Will these larger 128M bit (16MB) SPI NOR flash work with the jumper changes to EPHY_LED3_N and EPHY_LED2_N set to 01? I see there are selections on the schematic that will allow for larger flash size (up to 32MB). I would like to use NAND SPI Flash for logging/data storage, as it is good for up to 100,000 writes. SDMMC consumer version cards are good for 10,000 writes or less. At last, is it possible to go for 32MB NAND Flash without any issues when it comes to flash programming? 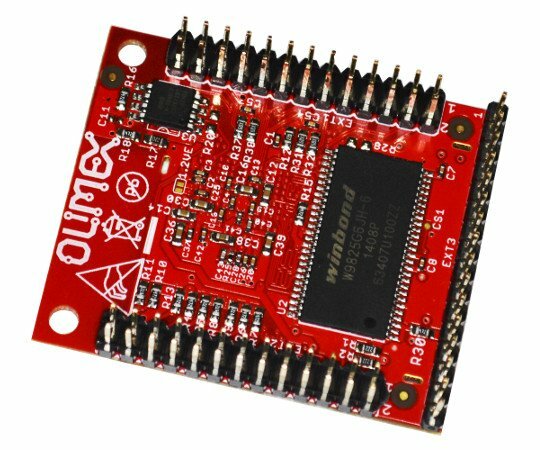 I would like to know, because I plan to purchase more boards from OLIMEX then modify the board with larger flash SPI NAND flash.